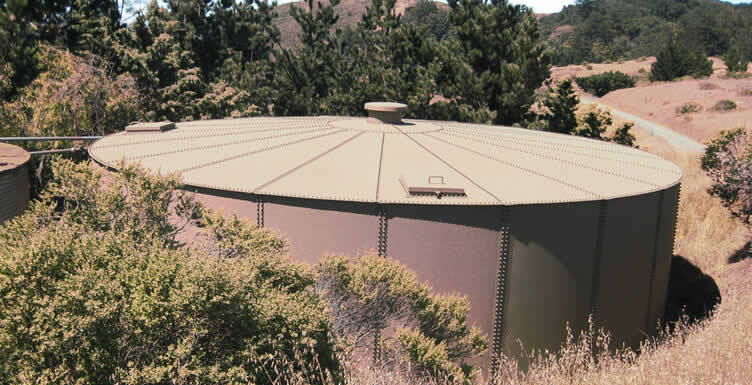 FCE designed a multi-barrier surface water treatment plant, and 265,000 gallon bolted steel water tank for the small community of Davenport in Santa Cruz County. FCE designed a multi-stage filtration system employing screen and disk pre-filters followed by a Memcor microfiltration (MF) treatment system. 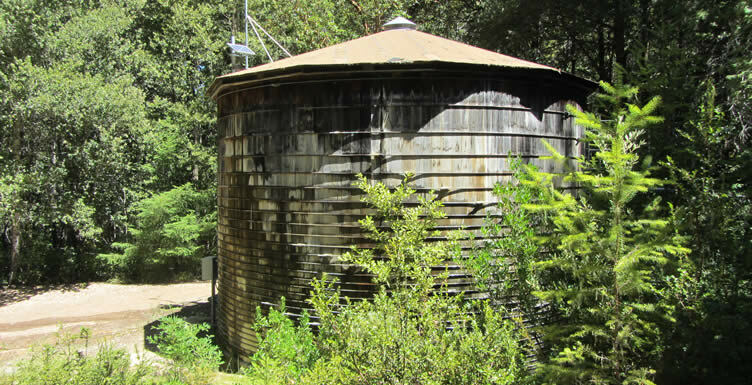 FCE secured permits from the County of Santa Cruz Health Department and the DDW for the new treatment system. 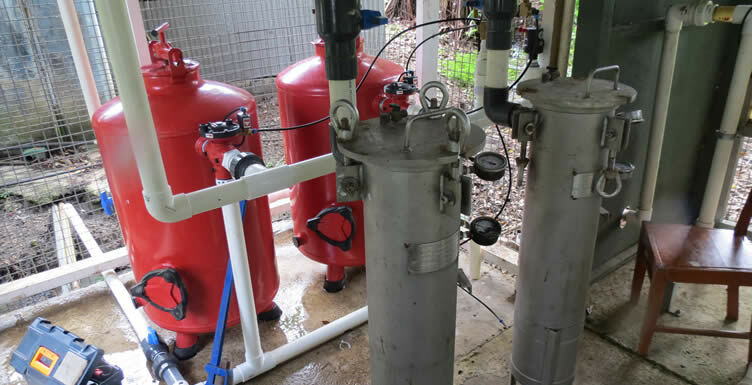 FCE designed and supervised the construction of a multi-stage water purification system that treats the domestic water at the resort. The water treatment system includes a disk roughing filter, two-stage sand media pre-filter, a bag filters, and UV disinfection system. 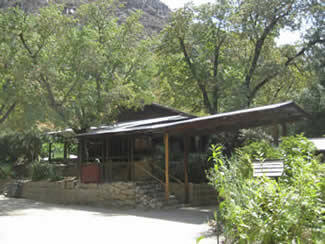 Bosch Baha’i School is a center of learning and conference center operated by the National Spiritual Assembly of the Baha’is of the United States. 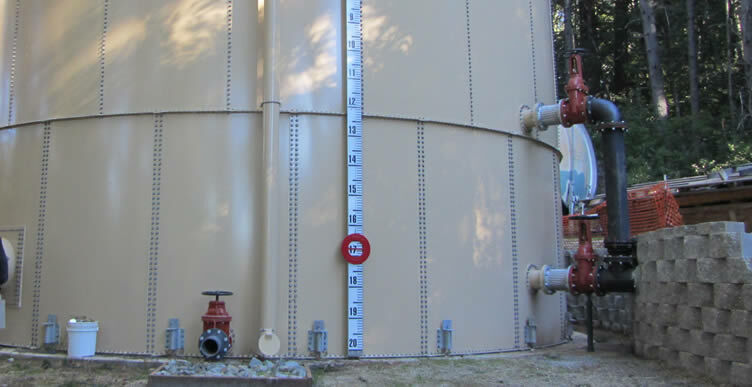 FCE designed a new 100,000 gallon water storage tank and new well and water system SCADA system for remote and local operation and control. Under a grant from the State, FCE has completed a year-long pilot study of a groundwater treatment system to remove arsenic, cadmium, iron and manganese from the supply well serving the school property. 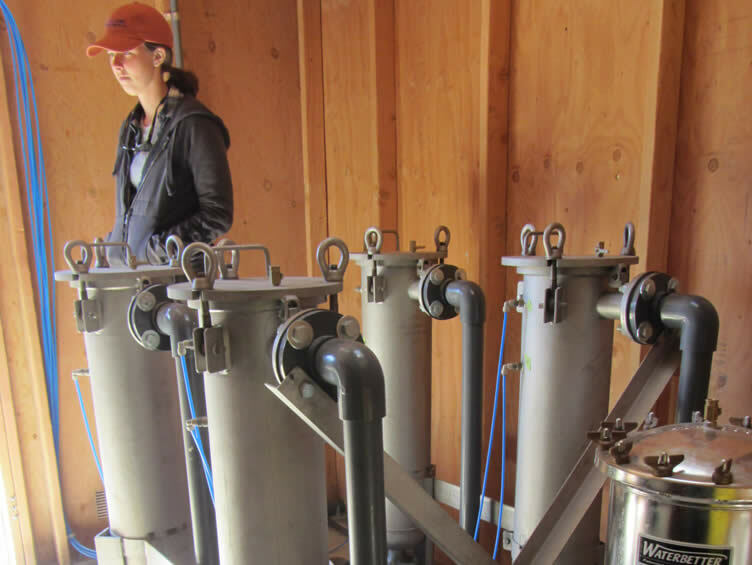 The pilot study successfully demonstrated that an oxidation-coagulation-filtration system could reduce arsenic and cadmium to less than 50% of the State MCL for these parameters. FCE also developed the treatment plant residual management plan for the project. 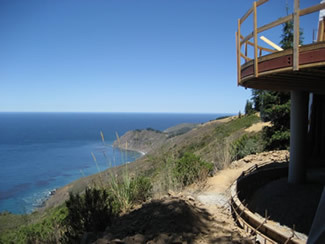 Over the past 15 years FCE has assist the Zen Center complete a variety of water projects for the property. FCE designed and supervised the construction of a multi-barrier surface water treatment plant to treat all of the domestic water. The treatment system includes a sand media pre-filter, a slow-sand biological treatment system and a water powered chlorination system. FCE recently designed the “Dharma Rain” fire water distribution and sprinkler system and is assisting the Zen Center install a new supplemental irrigation supply system. 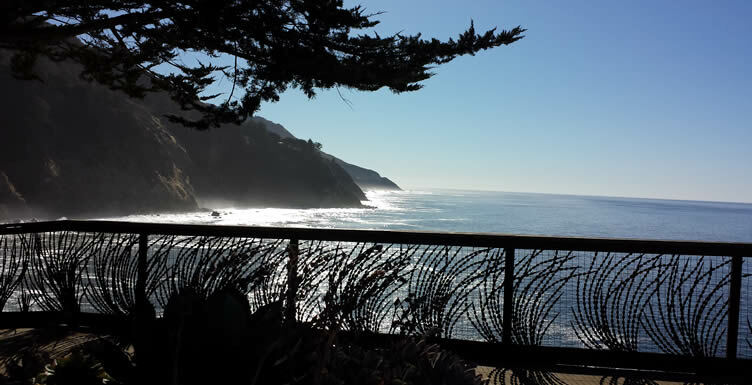 Over the past 21 years FCE has been the resident civil and environmental engineer for the resort. During this period, FCE has designed a groundwater treatment system for the water system including an ozone oxidation and anthracite green sand filtration system. FCE has designed and supervised the construction of three deep water supply wells, a new 100,000 gallon bolted steel tank and raw water booster pump station. 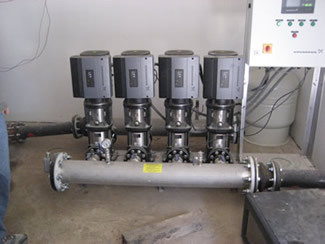 FCE has also designed a new variable frequency drive booster pump station and upgrades to the water distribution system. FCE designed a multi-barrier surface water treatment system to treat shallow groundwater under the direct influence of shallow groundwater. 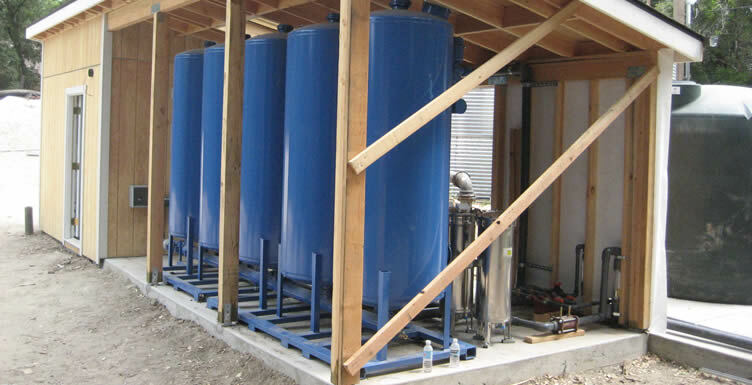 FCE designed a slow-sand biological treatment system for the community. 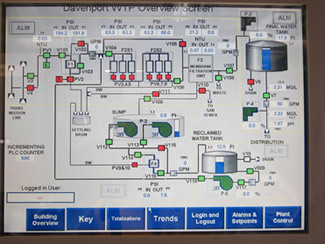 The system also includes an automated control and monitoring system employing inline water quality analyzers and main control center that includes a SCADA system to allow for both local and remote operation and monitoring. FCE designed, supervised the construction and assisted the Inn to obtain permits for a new multi-barrier surface water treatment system for the property. 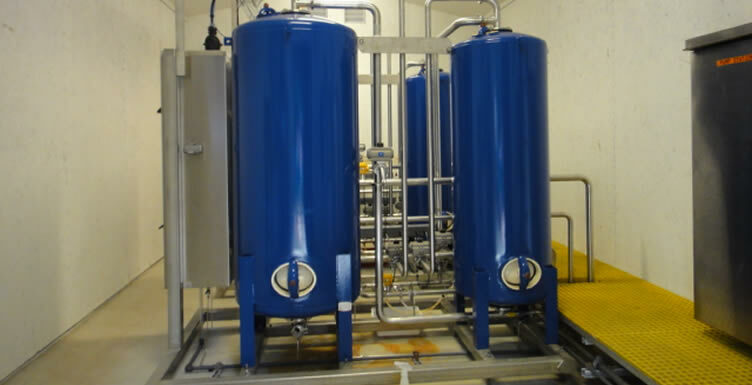 The system consists of a three-stage filtration system including deep bed sand pre-filters and a two-stage (Strain-rite) bag filter system. FCE also designed an automated control and monitoring system employing inline water quality analyzers, main control center, and SCADA system to allow for both local and remote operation and monitoring. FCE designed a new water distribution system (~20,000 lineal feet) and conveyance system including a 100,000 gallon water storage tank, booster pump, and master control and SCADA system. Several environmental and cultural resource issues at the site required consideration in the planning and design of the new system. FCE prepared conceptual designs (30%), design development (60%), compliance permitting plans and specifications (95%), and final construction documents. Each review set included engineering plans, specifications, engineering cost estimates, and basis of design reports. FCE designed a new multi-barrier water filtration surface water treatment system for a water treatment system and distribution main project and completed the permitting documents to upgrade the water system for the County Regional Park. 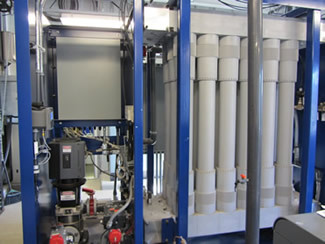 FCE designed a multi-stage filtration system employing coagulation and two-stage direct filtration system. 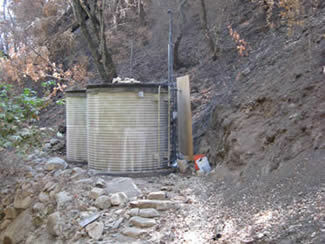 FCE is assisting to secure permits from the DDW for the new treatment system. FCE designed, supervised the construction and assisted the small community amend their water permit for a groundwater treatment system to remove iron, manganese and hydrogen sulfide from the two main water supply wells serving the community. The system includes an ozone oxidation and greensand filtration system and operates using a SCADA system capable of both local and remote monitoring capacity. 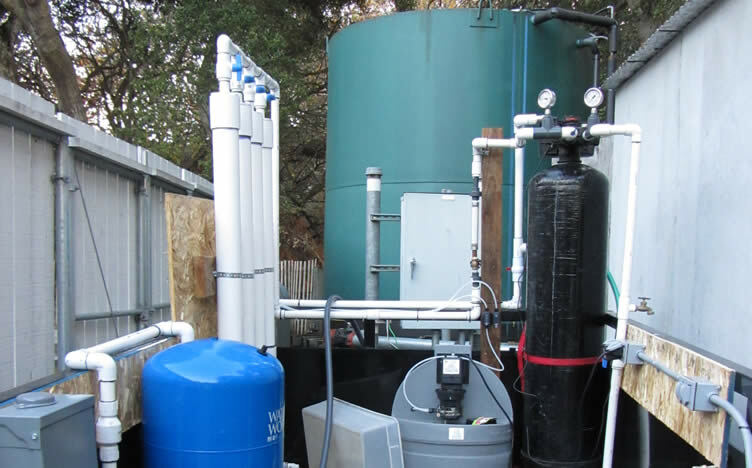 FCE designed a new surface water filtration and disinfection system for the Institute’s main property. The system consists of a state-of-the-art bag and cartridge filtration system designed to remove water borne pathogens, including Giardia and Cryptosporidium cysts. Conducted comprehensive water quality assessment study and sanitary survey to determine the feasibility to operate the existing surface water system in compliance with the filtration avoidance criteria established in federal Surface Water Treatment Rules. FCE designed a new supervisory control and data acquisition (SCADA) system for the water system to allow of automated, local and remote control and water quality monitoring of the domestic water system. FCE designed and supervised the construction of a multi-barrier surface water treatment system to meet the State’s Surface Water Treatment Rules. The treatment system treats shallow groundwater that is under the direct influence of surface water. The treatment system includes a multi-media sand pre-filter and a two-stage (Strainrite) bag filter to meet the SWTR filtration requirements. The system employs a simple chlorination system to meet the disinfection system. 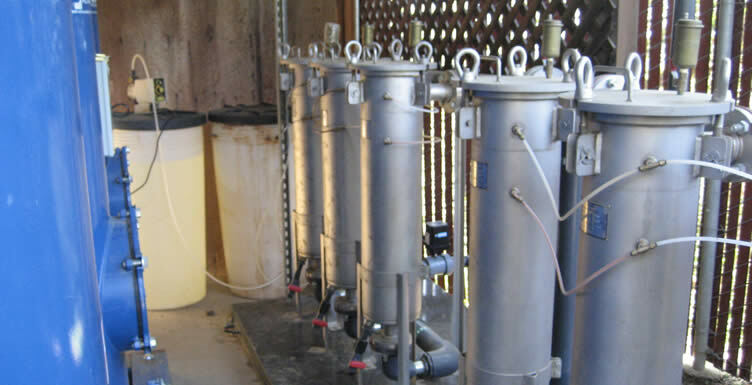 The system includes inline turbidity and chlorine analyzers and a main central controller with a SCADA system to allow for both local and remote operation and control. The system was approved and permitted by both Monterey County and the DDW.